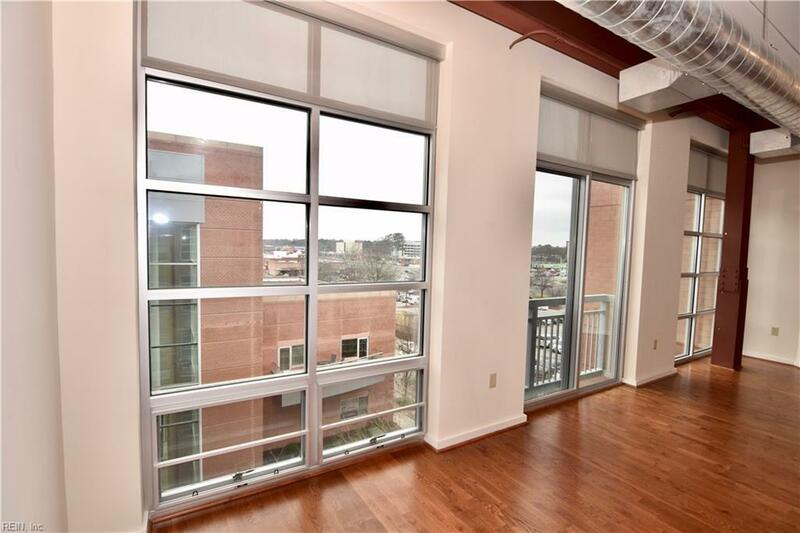 Welcome to luxury loft in the heart Virginia Beach Town Center. You will fall in love with stunning Manhattan-style loft that overlooks the Sandler Performing Arts Center and Westin Hotel/Residences Plaza. Walk across the street or down the block to some of the best restaurants and bars in the area. Have a glass of wine and unwind on the roof-top deck and enjoy spectacular sunsets. Interior features include: luxury granite rough-edge counters, hard wood & ceramic flooring, stainless steel appliances. 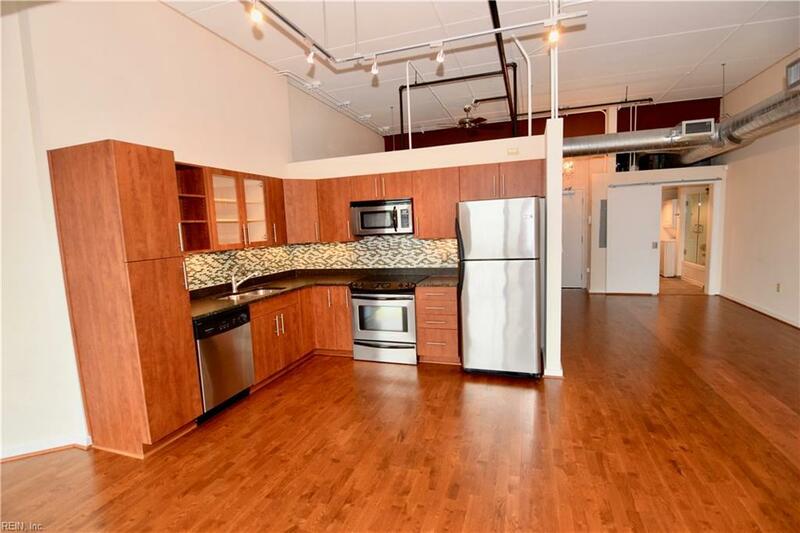 quiet-close drawers, L-shaped kitchen, custom back splash, custom under-cabinet lighting, 12 foot tall ceilings, exposed duct-work and steel I-beams custom roll up privacy shades, in-unit washer & dryer and secured building access. Experience events and people-watch from the huge 30 x 10 feet wall of windows. 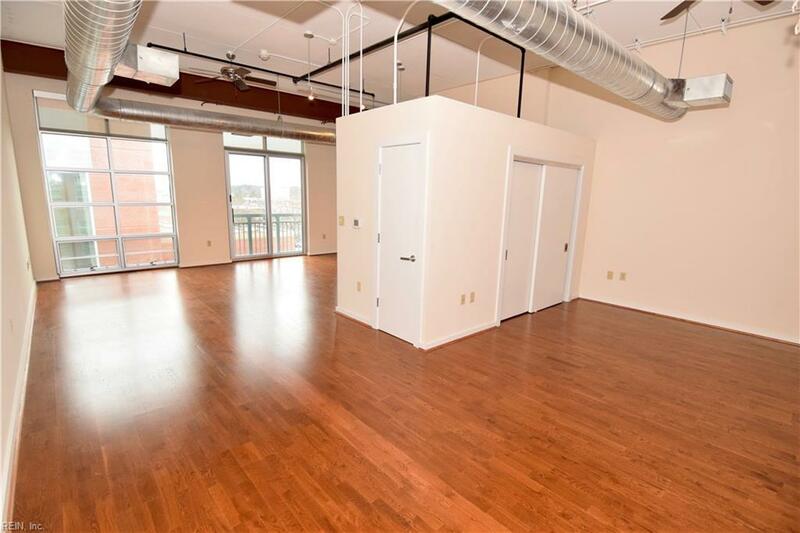 This unique loft has one of the nicest floor plans in building & offers great views. 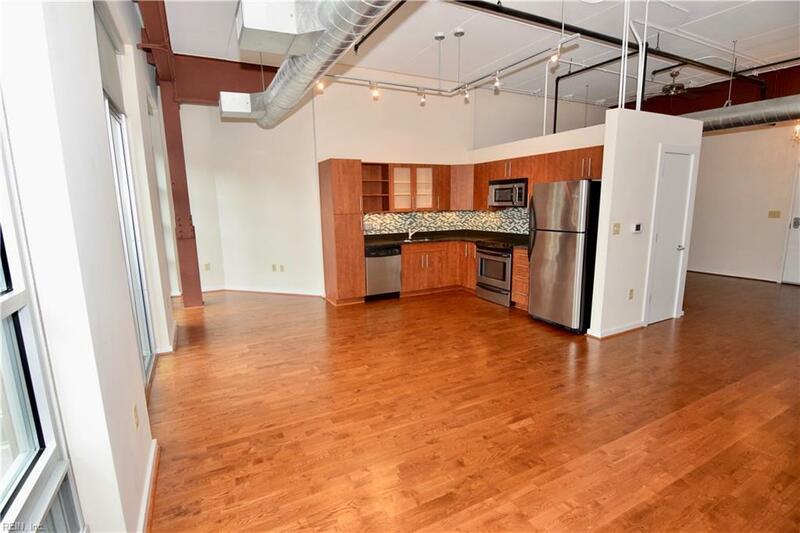 Welcome to a simple and rewarding lifestyle at your new industrial-styled loft.